The story of the Hunt Hostel’s role in the resettling of the Japanese community in Seattle. In the wake of World War II, from 1945 to 1959, the Japanese Language School buildings served as temporary housing for Japanese and Japanese Americans returning from incarceration camps. Local leader and community figurehead Genji Mihara established and managed the facility, calling it the “Hunt Hostel” as most residents were returning from Minidoka Incarceration Camp in Hunt, Idaho. 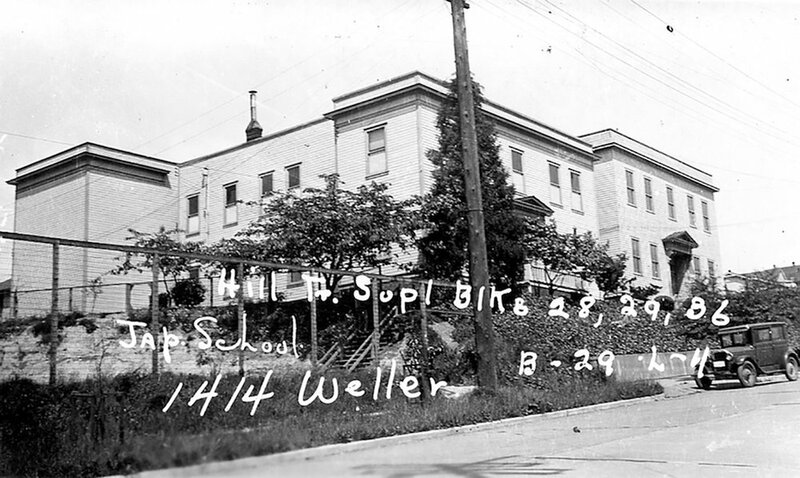 Within the walls of the historic buildings at 1414 South Weller Street, over thirty families began to rebuild their lives in the wake of World War II. Children were raised, loved ones were lost, and little by little the rooms were vacated giving way to community organizations, classrooms, and storage. The Unsettled-Resettled: Seattle’s Hunt Hostel story seeks to shed light on the experiences of Seattle Japanese and Japanese Americans during resettlement and raise awareness of the long-lasting consequences of Executive Order 9066, one of the most unjust and unconstitutional acts of government in American history.